5 stars - "Epson Stylus SX218 All-in-one InkJet Printer with CISS" by Eric, Written on 2011, 13:12/12/01 It is a great helper at colledge! 5 stars - "Epson Stylus SX218 All-in-one InkJet Printer with CISS" by Carlos, Written on 2011, 13:53/12/01 CISS is a great thing! Now I'm printing great pictures for really small price ! 5 stars - "Epson Stylus SX218 All-in-one InkJet Printer with CISS" by Michelle	, Written on 2012, 18:33/07/03 I like both how it prints and scanns. 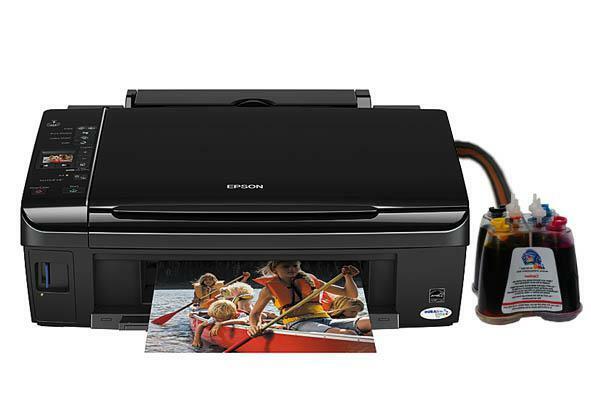 Buy Printer Epson Stylus SX218 with CISS and make 30 times more quality prints for the same money! It is a great helper at colledge! CISS is a great thing! Now I'm printing great pictures for really small price ! I like both how it prints and scanns.